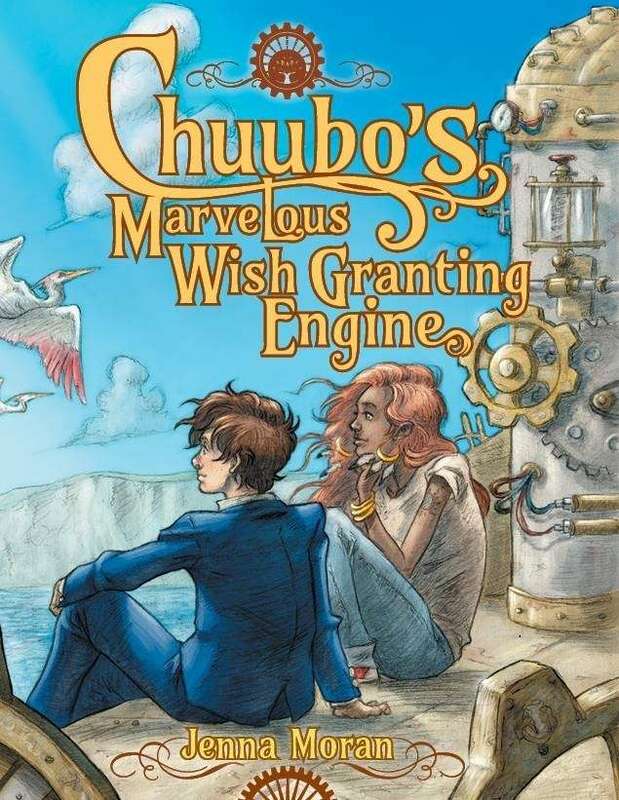 The Chuubo’s Marvelous Wish-Granting Engine RPG is the new diceless RPG from Jenna Katerin Moran, author of the well-regarded Nobilis and an important contributor to Eos’ Weapons of the Gods and White Wolf’s Exalted RPG. It’s a progressive, warm-hearted game that focuses on adventure and slice-of-life stories — think Laputa: Castle in the Sky or Kiki’s Delivery Service, but also Western stuff like Friendship is Magic, Harry Potter, and Adventure Time! And find a place for yourself in a world of breathtaking beauty. The Chuubo's Marvelous Wish-Granting Engine RPG. Now including PDF and ePub versions. Hi! I have a problem with this product but I don't know where I can otherwise submit bug reports. In the table of contents, there are lots of clickable internal links but they appear to be misdirected to look on the computer of the person who created the clickable internal links, not on my computer. This causes an error! Is there any prospect this might be fixed? I heard a rumor that 'glass makers dragon' may be appearing soon - any confirmation on this? another issue - I left a review of this game on this site, and it is no longer visible. what happened there? The .pdf is 200 MB in size!! Has anyone experienced problems trying to display a .pdf of that size on a tablet? It might even make desktop computers struggle. You may want to note the Shadowrun RPG which is 489 pages for 44 MB only, and use similar tricks to whatever they do. What is the difference between the premium and standard editions? Just wondering because both are described as hard cover and colour but there's a $60 CDN price differential? Love the pdf, it is really awesome. Have to play this soon, but I do notice that there is no front and back cover for the pdf, the first page is the one with Chuubo's Marvelous Wish-Granting Engine and the Dedication and Special Thanks. Also, I will love to buy a Hardcover of this. When can I expect that PoD? Is there a reason a cover & back cover is not included in the pdf? My copy has a front and back cover. Which one did you download? I suspect I'm missing the glaringly obvious, but I can't find the character sheet. Lovely, lovely game though! Ta! There doesn't appear to be one; I must admit that I think that's a bit of an oversight as well. I mean, the stats are simple enough that you CAN just use a normal piece of paper, but it would be nice to have an official sheet with a place to track your current quests and XP, to note which perks you have, etc. Somehow I missed this Kickstarter. Is there a POD version planned? If one purchases the PDF will there be a discount on the print? Thanks. There is a PoD version planned. I plan to click the option that lets you get the PDF free bundled with the print on demand. I figure Bits&Mortar is on to something there, and last time I checked DriveThru made that very easy. I don't know if that applies retroactively. If it doesn't, I'll probably send out a discount coupon for the PoD to people who've bought the PDF not long after the PoD goes live. I think it *does* apply retroactively, which makes it very easy. Honestly, I can't really imagine *not* pushing through something like that... but at the same time, I'd rather that be a happy surprise for PDF purchasers rather than something you go in expecting. The PoD version will probably be out between mid-October and mid-December, but I don't yet know for sure. Looking forward to the PoD version. I have the PDF but reading it electronically doesn't do it justice. Why is the PDF more expensive than the ePub version? 1) It includes the ePub version, and adds additional content in the form of a PDF version. 2) The development costs for a PDF are higher. 3) It's actually not; or, rather, it's the other way around. The ePub-only option is *cheaper* than the PDF&ePub bundle, because I wanted a cheap option available for people who struggle to afford $20! When I bought the epub version I thougth this would also give access to the pdf one when it was released, or at least a discount . It seems that is not the case. Not satisfied. I'm sorry to have discommoded you! I do hope to set up that discount, but I'm waiting for more of the kickstarter sponsors to pick up their copies. It looks like the only way I can actually do it is to send out a discount code by email to people who bought the ePub version. That includes, well, the kickstarter sponsors---and I don't want to muddy the waters for them. To be fair, I think it was mostly my fault, as I assumed things you never said at any moment. Nice game, though.